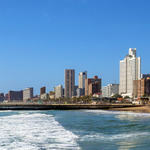 Port Elizabeth is a scenic coastal destination in the Eastern Cape of South Africa. Known by the natives as the ‘friendly city’, it’s home to 900,000 people and offers you a more laidback holiday experience. Like most major South African destinations, Port Elizabeth is where to find rich history, amazing wildlife and spectacular sights. 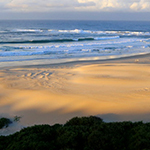 Top attractions include the Kragga Kamma Game Park, Sardinia Bay and the Boardwalk Casino & Entertainment World. Start packing your bags and get ready for a fun time in the friendly city with cheap Mango flights from Johannesburg to Port Elizabeth! The hub airport in Port Elizabeth is Port Elizabeth International Airport (PLZ), which is a 45-minute drive from the city centre. Book cheap Mango flights from Johannesburg to Port Elizabeth at Travelstart today! A valid South African passport or ID is required when flying to Port Elizabeth. From the Port Elizabeth International Airport, you can get to the Port Elizabeth city centre within 45 minutes. 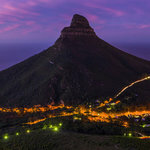 Port Elizabeth is home to a diverse range of attractions, including Shamwari Game Reserve, Storms River Bridge and the South African Marine Rehabilitation and Education Centre.